After introducing the Pascal Architecture in April 2016, Nvidia has released only GTX 1070 and GTX 1080 graphics cards. Two years have already passed and it is really getting too long for a new graphics card of this series. AMD’s Vega architecture has the parity to Pascal but still has a shortage in the market. 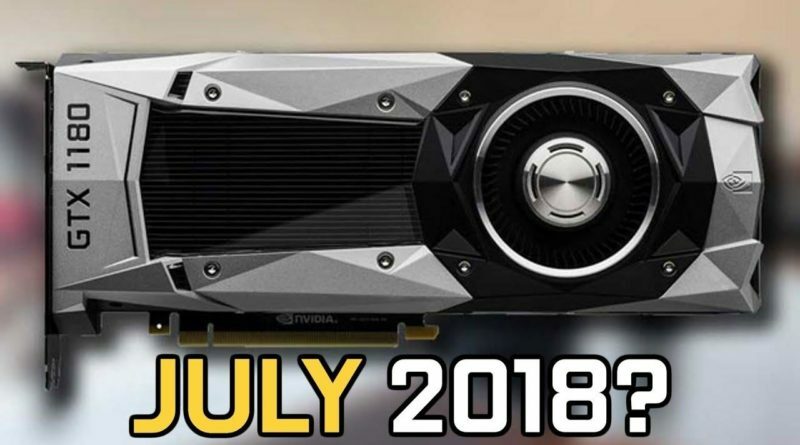 Unfortunately, Nvidia is not disclosing anything about their next generation GeForce GTX graphics but there are rumors that Nvidia is preparing to launch their next generation graphics cards GTX 1180 (or 2080 – yet to announce any official name) and expecting Nvidia GTX 1180 release date in July. The chips will be based on the Turing platform, but Nvidia hasn’t announced a brand name. Also, some conflicting rumors are there- what will be the card name, will it be 11 series or 20 series or GTX 1180 or GTX 2080? Considering that, Nvidia is moving on from the 10 series and the new card makes more sense, unless Nvidia declares their new card advanced from 10 series. This is originally from Tomshardware.com and the industry source who spoke with the site on the condition of anonymity, July is the expected month of release for the Founder’s Edition cards with third party cards to follow in August or September. Later in the year, the company will release the laptop version of the card. Sampling Nvidia ships chip samples to partner. Acoustic approval Partners without acoustic labs provide board samples to Nvidia. Otherwise, partner generates dB(A) curves. If the board passes Green Light, a Partner Production (PP) VBIOS will be provided by NVIDIA. If not, Nvidia will tell the partner what needs to be fixed. Tomhardware confirmed that the information comes from a series of anonymous sources, rumors and estimations based on typical production processes. According to WCCFTech, GeForce GTX 1180 will have 3,584 CUDA cores, 8GB or 16GB of 256-bit DDR6 16Gbps memory, a core clock of around ~1.6GHz and a boost clock of around ~1.8GHz. The TDP of this graphics card is expected to be somewhere between 170-200W. In May, Wccftech also shared rumors and information on GTX 1170 and it will have 2,688 CUDA, 8GB or 16GB of 256 bit 16Gbps DDR6 memory, a core clock of around ~1.5GHz and a boost ~1.8GHz. The TDP of the graphics card is expected to be somewhere between 140-160W.